It happened! You followed your passion, created a unique brand, and made the decision to grow via the model of franchising. You are now a franchisor. Congratulations! And now, reality hits, you need franchisees to not only grow your dream, but to fund your business. And yet more reality, you likely have never awarded a franchise. Where do you start? How will you find candidates? Once candidates raise a hand of interest, how do you collect their personal information, share the strengths of your brand experience with them, follow federal and state guidelines, qualify the individuals that will take your brand to market, and eventually award your first, tenth, and one hundredth franchise location? This three-part series will focus on how to: attract candidates, qualify candidates, and use software to manage and measure all of the necessary processes. How do you attract candidates to your franchise brand? This pool of lead sources refers to leads that are generated by a franchisor’s internal marketing efforts and are typically digital tactics. An excellent starting point is your website. Build an informative platform that is cleverly optimized for search. Today’s franchise candidate spends a significant amount of time online researching before they request direct input from you so ensure that your website portrays your brand accurately. Include your leadership team pictures, titles, and bios; videos and pictures of happy franchisees and customers; a description of your ideal franchisee and their role in the franchise; and high-level information about startup costs and expectations. When candidates exhaust what they can learn in their research, ensure you make it simple for them to reach you by having all forms of contact on your website. Your website is the home base for your native efforts. Build search engine marketing (SEM) and search engine optimization (SEO) so potential candidates find your site. Additionally, you will want to consider pay per click (PPC) and social media. Sound overwhelming? It can be. Find a great technology marketing supplier to partner with you. Interview more than one per category and check their references. Lastly, native tactics aren’t always digital. Consider mailings that target your “perfect” candidate. Additionally, outbound calling and direct marketing to potential candidates in your industry that may be looking to expand their franchise ownership to multiple franchises or independent business operators that desire to convert to a franchise brand are great candidates at a low cost. There is an entire segment around franchise consulting with professional experts called franchise brokers leading this segment. There are even franchises that offer franchise broker services! Franchise brokers offer their industry expertise to guide franchise candidates in what can be an overwhelming search. With over 3000 franchise options to choose from, how can a candidate know where to start? What will fit their personality, skill set, investment level, and return on investment goals. Franchise brokers provide a “matchmaking” service to connect your brand to franchise candidates that fit. Franchise shows and events provide an opportunity for franchisors to meet face to face with potential candidates for their franchise. Shows are scheduled throughout the year and across the US and Canada. They vary in size from 6 franchises into the 100’s. Events held by individual franchises have gained in popularity in recent years. When franchisors host their own events, it gives them an opportunity to have more engaging face to face conversations with candidates while diving deeper into the unique qualities of the brand and “day in the life” examples. Franchise portals provide a virtual listing of hundreds of franchise options. Candidates can search through these websites for franchises that fit their investment level and skill set. Due to the upfront research that candidates conduct online before engaging with franchisors, this is an option to consider engagement with to ensure correct information about your brand is presented for candidates to compare and contrast to other opportunities. Once you have researched these four marketing tactic buckets and written your marketing plan for attracting candidates, you will next need to determine a customer relationship management (CRM) software to house, mine, track process steps, manage documents, and measure the tactics and marketing pools that work for you. 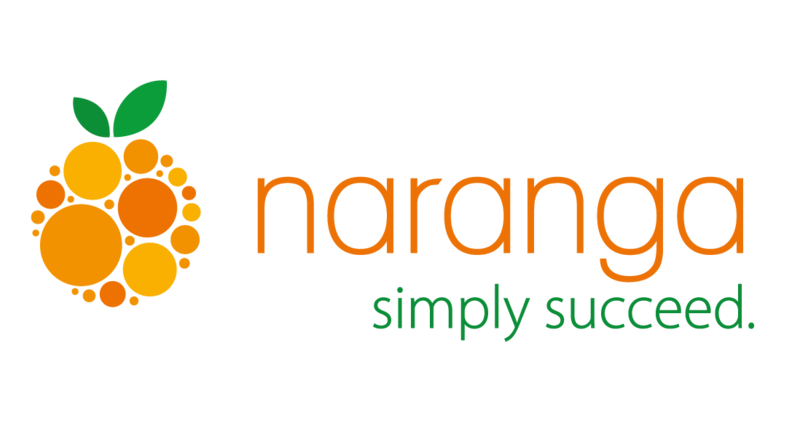 Naranga offers Lead Generation Management software call eMaximation which was built specifically with the franchisor in mind. Long recognized as the industry standard for sales and marketing automation in franchise development, eMaximation joins the Naranga platform of centralized sales and operations management solutions. Contact us today to learn how eMax can help grow your franchise brand! For more information on how technology can help improve your franchise operations check out our white paper, How Franchisors and Franchisees Can Leverage Technology to Achieve Operational Excellence.